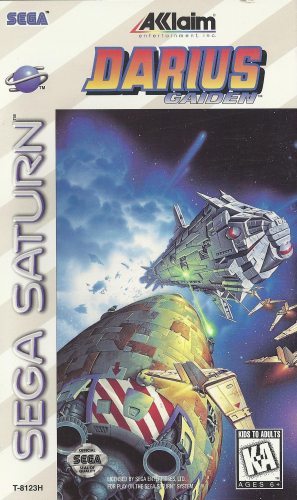 DARIUS GAIDEN brings the arcade saga home. You must defend your planet from invasion. 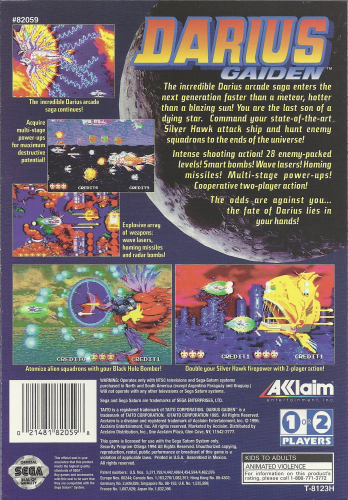 Get behind the controls of an advanced Silver Hawk attack ship, and try to survive 28 levels filled with enemies. Luckily, there are a variety of power-ups available including wave lasers, homing missiles, radar bombs, and the ultra powerful smart bombs. However, getting the most powerful weapons requires collecting several power-ups. When the going gets really tough, you can double your firepower with the two-player cooperative option. You are Darius’s last hope in DARIUS GAIDEN.